This Week on Monkey Cage: CVE, Turkish Nationalism, and Winning! 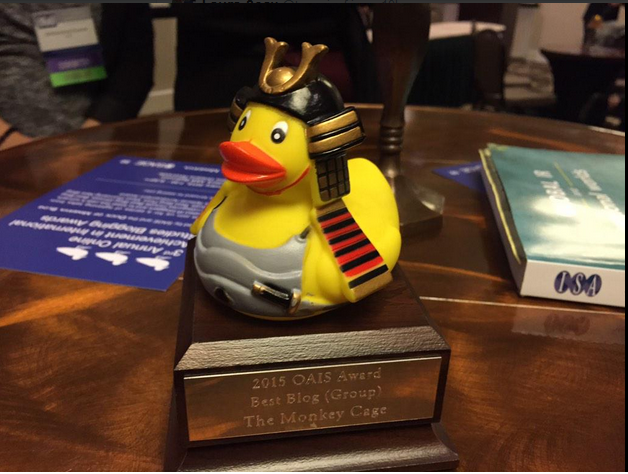 Congratulations to the entire Monkey Cage team for being named Best Blog (Group) at the 2015 OAIS Blogging Awards a.k.a., the Duckies! 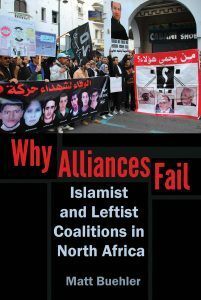 Senem Aslan of Bates College details how Turkey’s AKP-Gulen conflict boils down to different faces of Turkish Islamic nationalism. Omar Ashour of Exeter University reflects on lessons learned from deradicalization programs in Libya and beyond — timely lessons as the White House hosted the Summit on Countering Violent Extremism this week. Abbas Barzegar and Shawn Powers of Georgia State University call on U.S. policymakers to genuinely engage Muslim NGOs to combat violent extremism. Bonus: If you’ve been following our “Islamist Politics in the Shadow of the Islamic State,” symposium, you’ll want to read new insights on Congo’s Islamist rebels from Daniel Fahey of UC Berkeley.